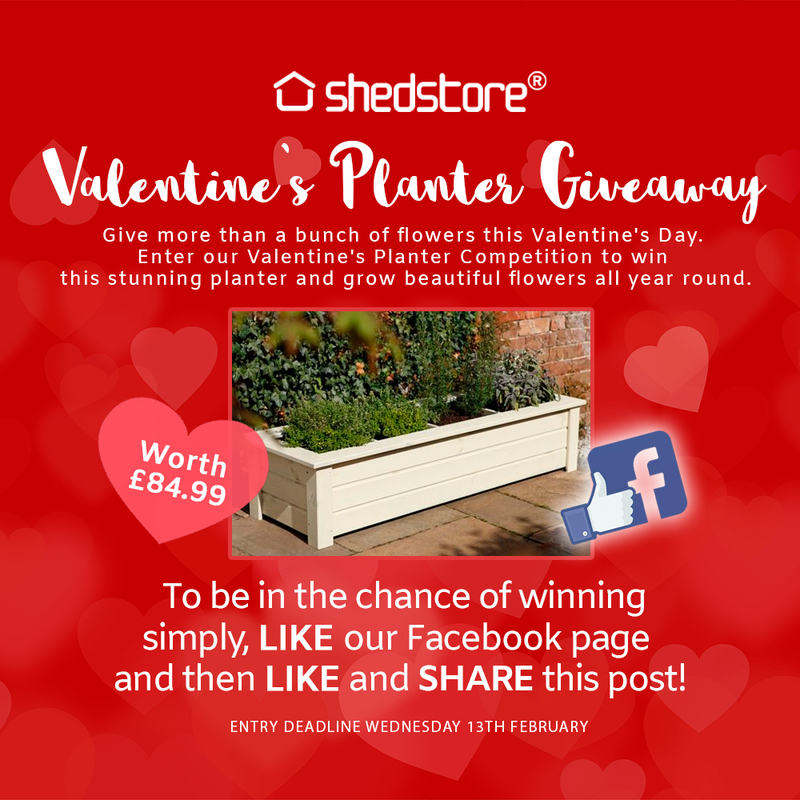 Entry deadline is Wednesday 13th February at noon and the winner will be announced on Thursday 14th February 2019. Deadline for prize draw entry: February 13th 2019 at noon. 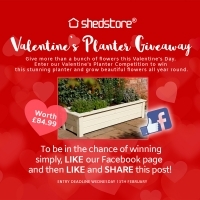 Visit our Shedstore Facebook page and press the ‘Like’ button, find any of the competition posts to ‘Like’ and then share the post on your own Facebook wall.